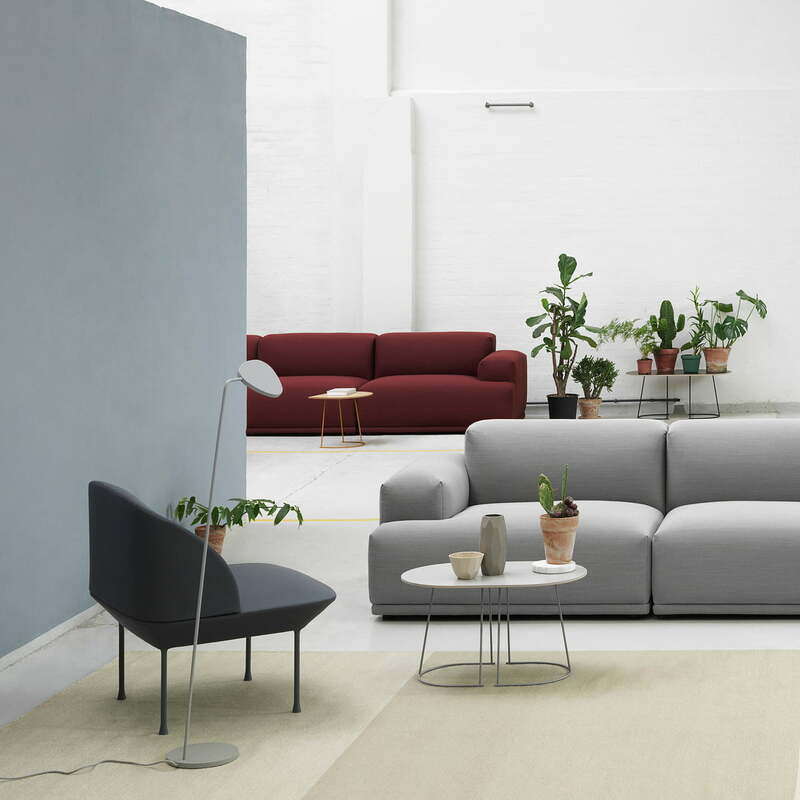 The Oslo Lounge Chair, matching the Oslo series that also includes the eponymous sofa, is a design by Andersen & Voll for Muuto. An organically shaped lounge armchair with a light and inviting appearance and feel, which does not waive on high seating comfort in any way. The Chair is easily introduced into any living room, where a light, filigree seat is desired. In addition, the Oslo Chair is ideal in lounge and waiting areas. The series is named after the place of production, which lies on the coast of Norway. Seat and backrest are filled with high-quality CMHR foam. The legs are made of sturdy, powder-coated aluminium. 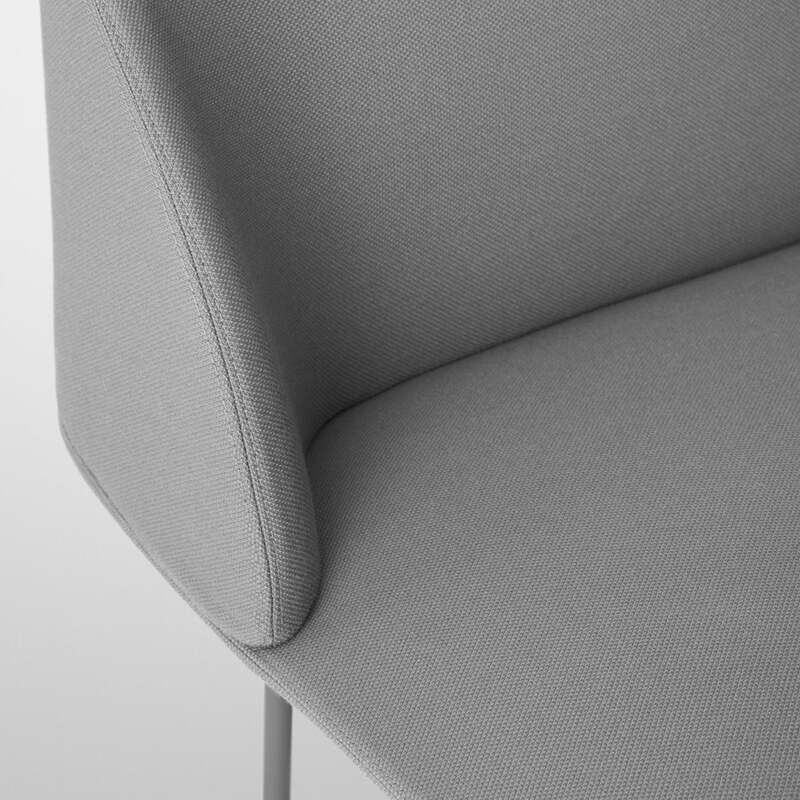 Kvadrat fabrics are used to cover the upholstery. 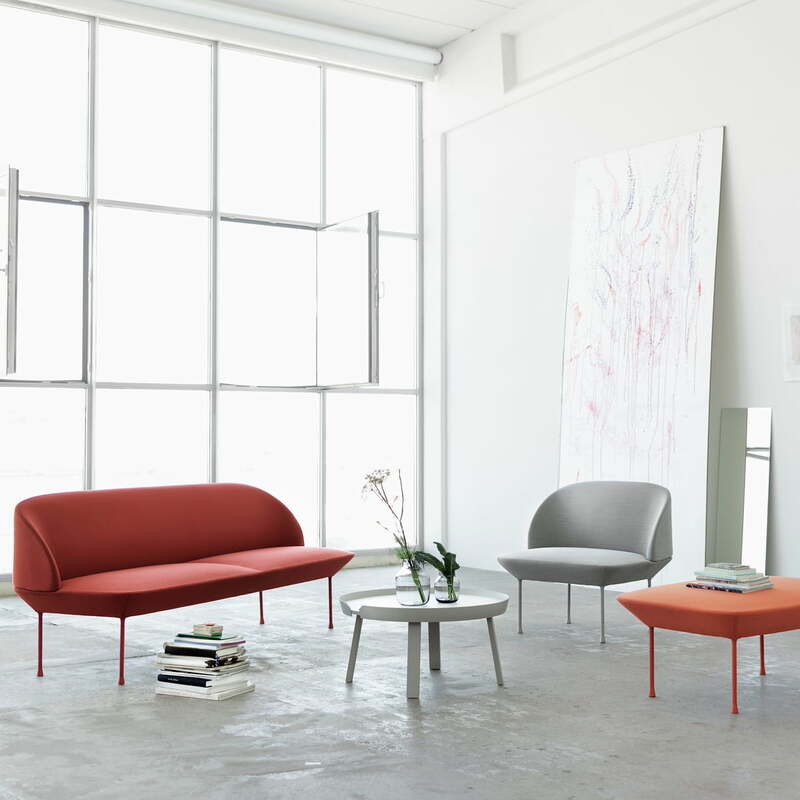 The Oslo series consists of a sofa, chair and pouf. 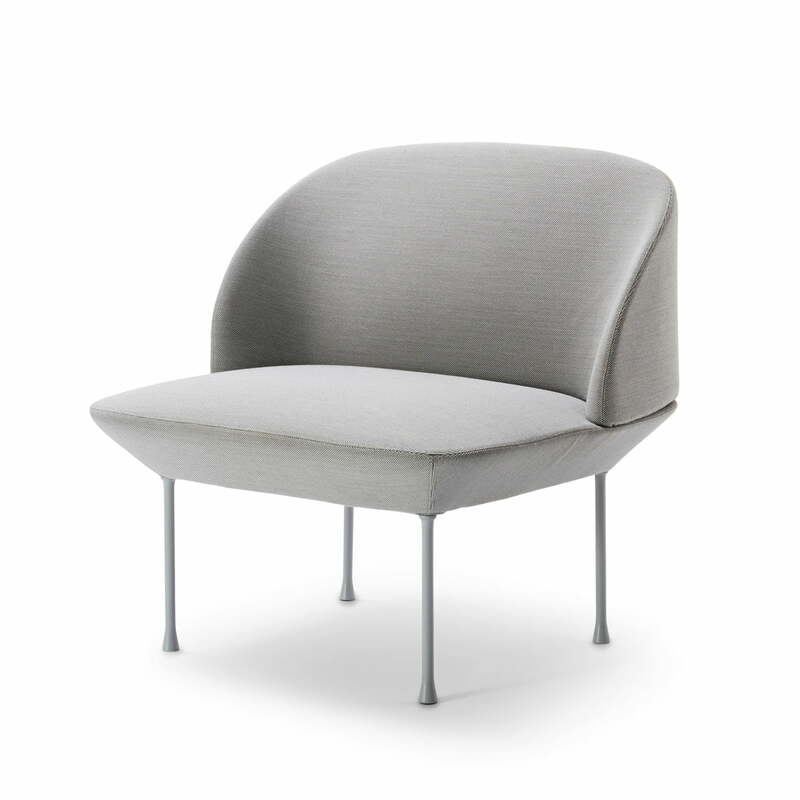 Oslo Lounge Chair in light grey fabric - Steelcut 160 by Kvadrat. An organically shaped lounge armchair with a light and inviting look and feel, which does not waive on high seating comfort in any way. Stacked shelf / ply rug carpet / Oslo sofa in the ambience image. 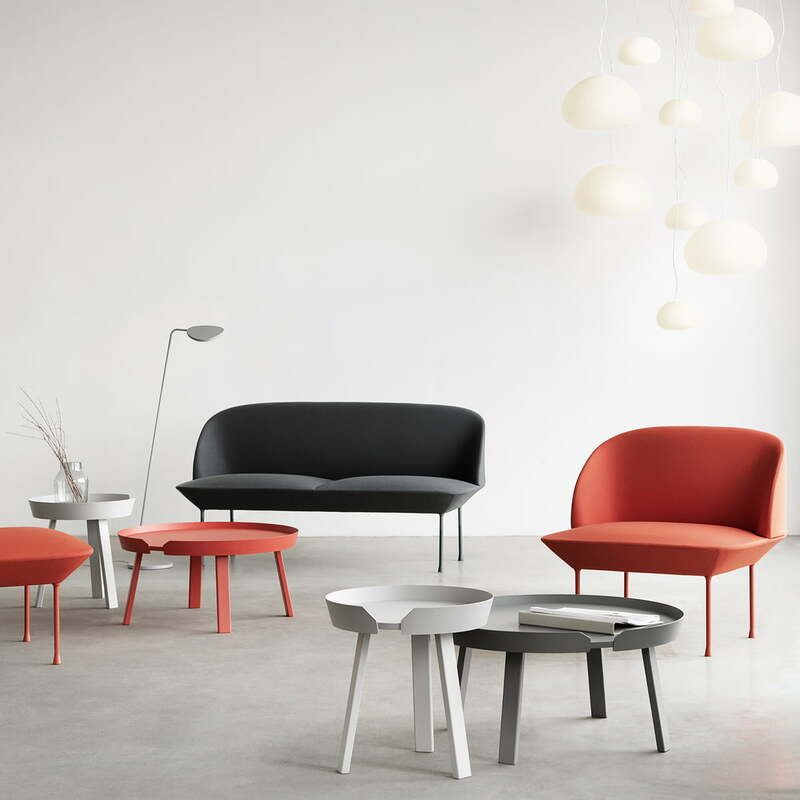 The products by Muuto appear clean, modern and tidy and fit perfectly into any environment. Oslo sofa by Muuto in detail view. The embracing round shape creates a pleasant harmonious place - perfect for every waiting area and everyone's living room. The seat and the back are filled with CMHR foam, which makes the sofa much more convenient, than one might expect with the sleek and lightweight design language. 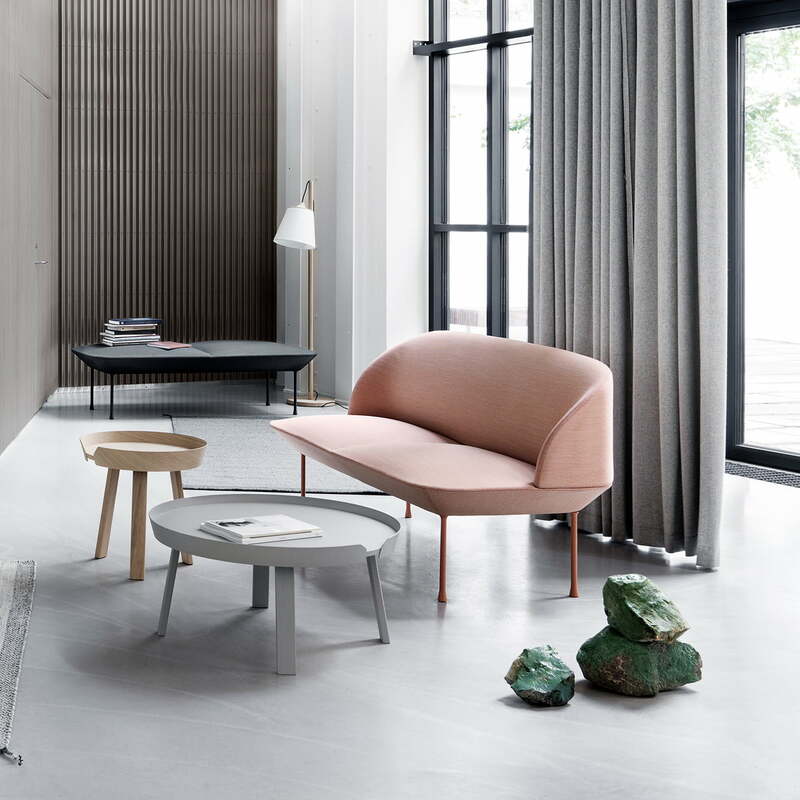 Oslo Lounge Chair in grey combined with rich colours. 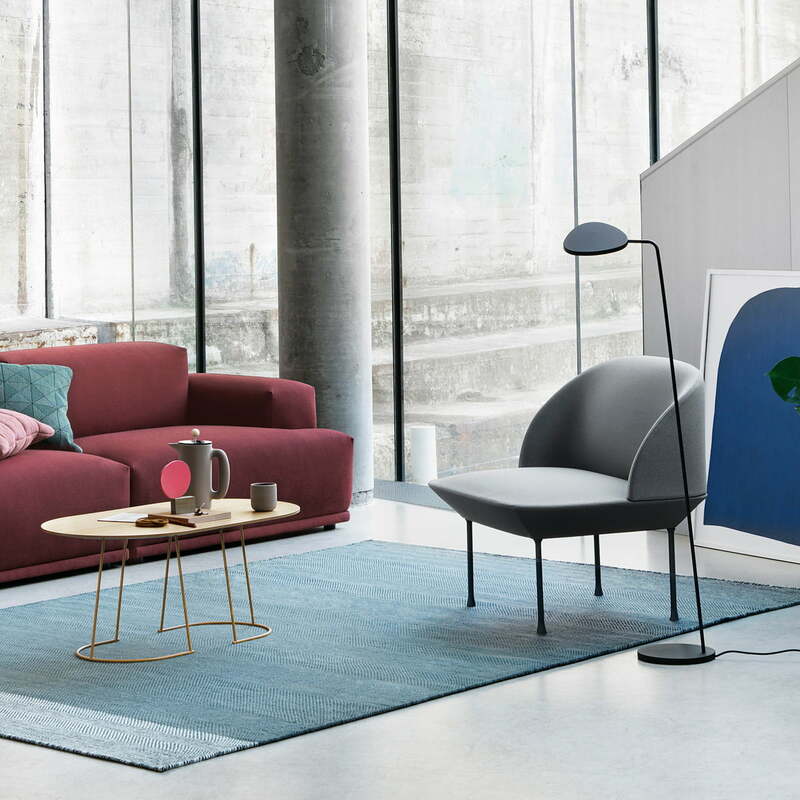 Here in the environment image in combination with the Leaf lamp, the Airy table and the Connect modular sofa. 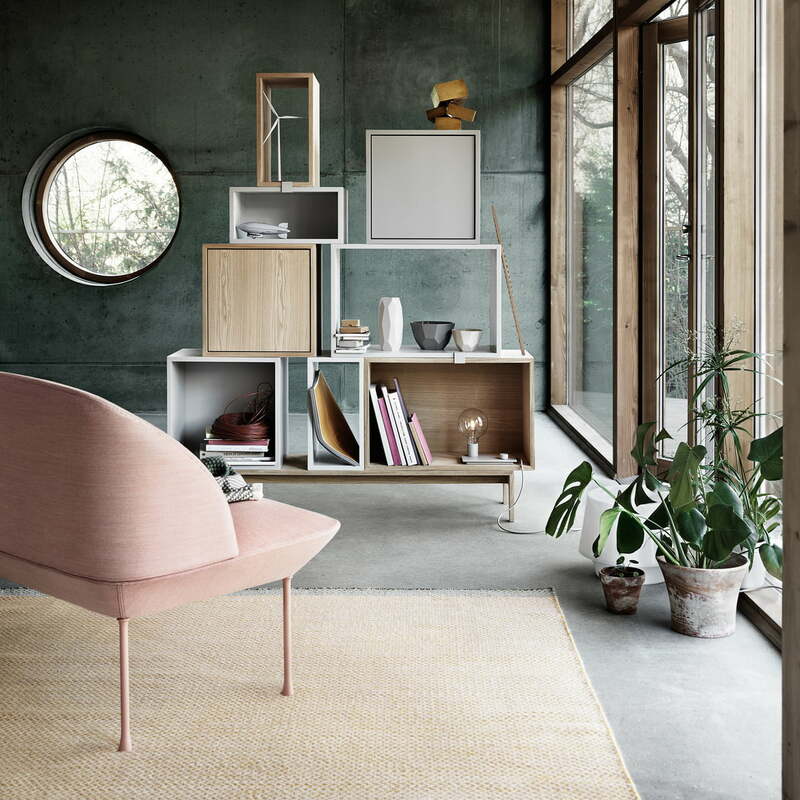 Ambient image of the Oslo Lounge Chair designed by Muuto. 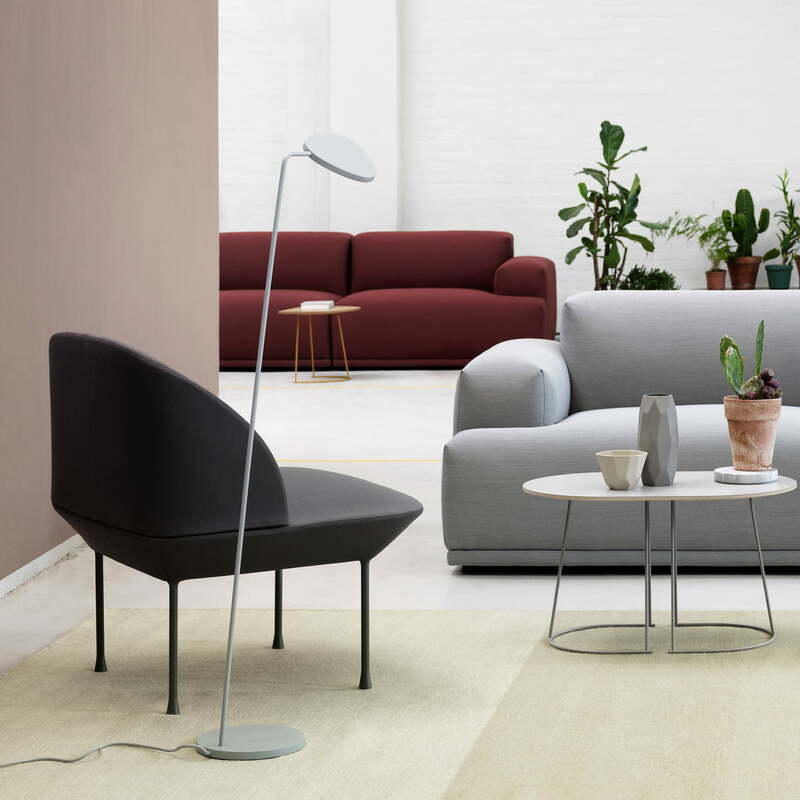 Put together with the Airy table, the Leaf lamp, and the Connect modular sofa in different colours. 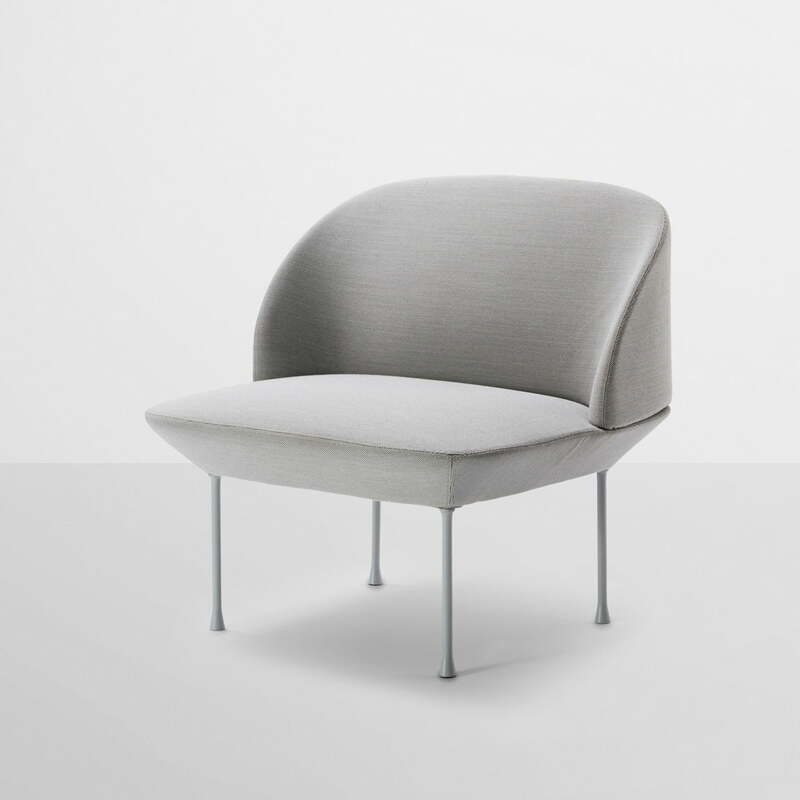 The Oslo Lounge Chair, light grey fabric and light grey legs. An organically shaped lounge armchair with a light and inviting look and feel, which does not waive on high seating comfort in any way.